From new and used to customs and classics, we have a wide range of options to choose from. 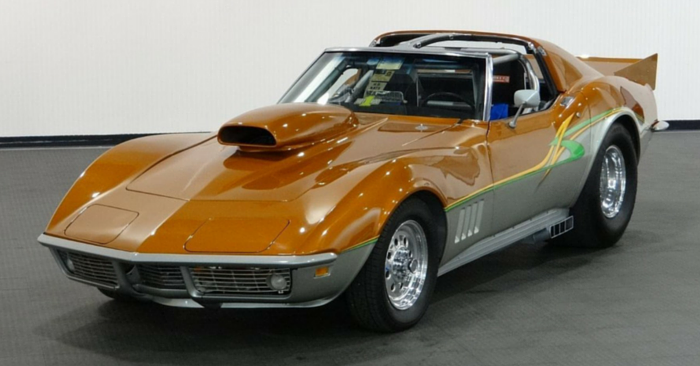 At Carsforsale.com, we celebrate Weird Stuff Wednesdays by highlighting a few of the most unique and one-off vehicles that are currently for sale on our website. 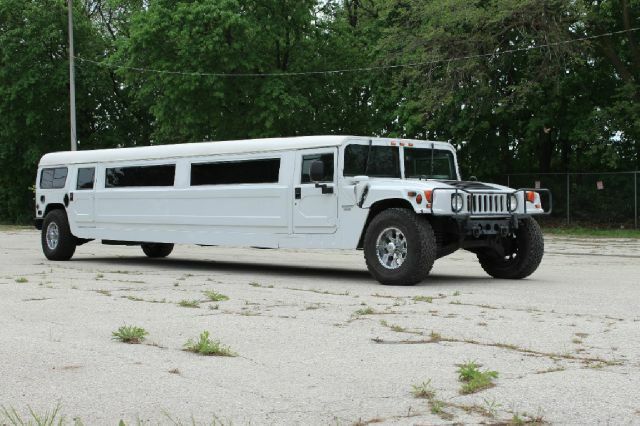 You never know what you’ll find when searching Carsforsale.com for your next vehicle. Our first vehicle is this 1941 Willys 411 Deluxe for sale in Calabasas, CA. Willys-Overland Motors produced cars from 1937 – 1942. This kit car is a far cry from its original condition when new in 1941. 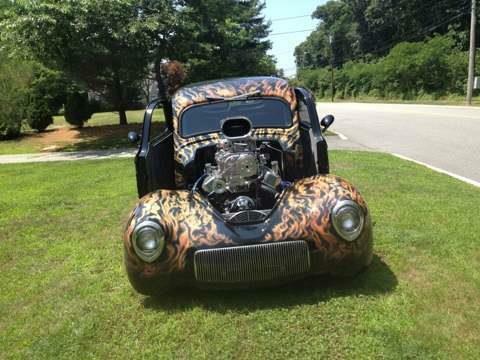 A custom paint job make it look as if the front end exploded in flames. 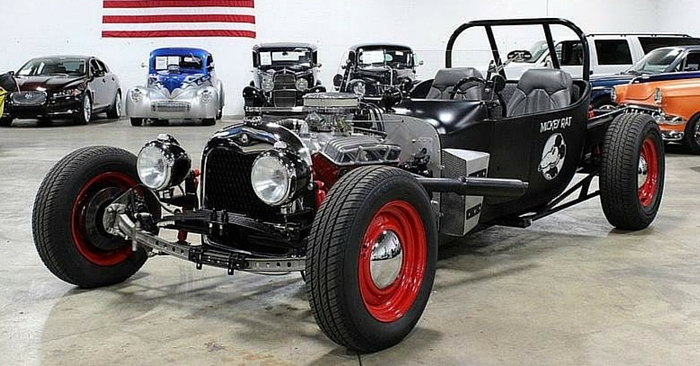 A giant V8 blower engine give this old school ride some new school power. 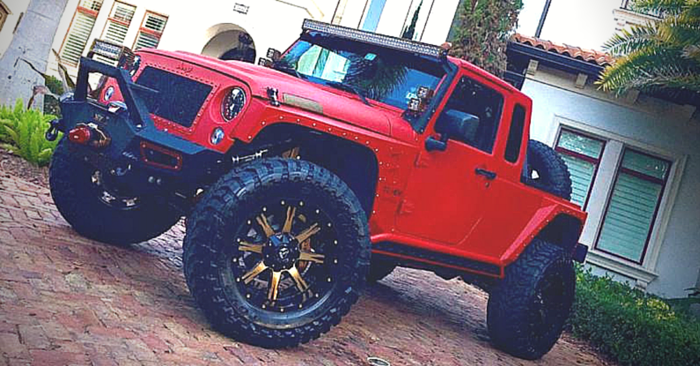 With that much power the addition of the wheelie bar seems only right. The custom suicide doors give this car a definitive show-piece style. They say a picture says a 1,000 words but this one has us at a loss for words. Our next feature vehicle is this 1948 Chevrolet 3800 COE, also for sale in Calabasas, CA. There should be zero debate on if this is blue and black or white and gold. 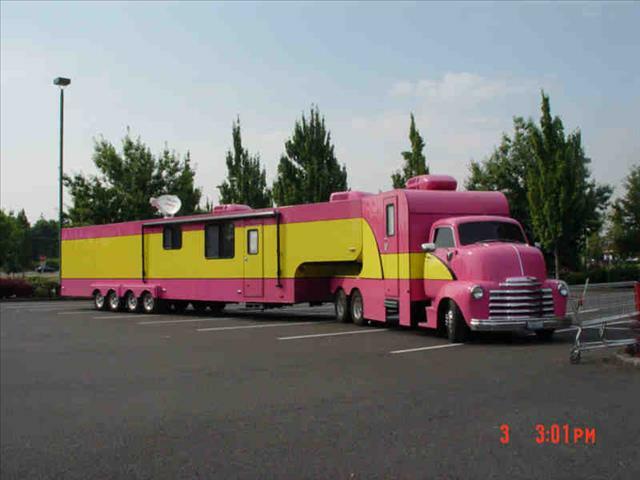 This truck and trailer combo is a bright pink and yellow and the vehicle description from the seller states that it’s probably the most unique and most interesting setup you have ever seen; we completely agree. The trailer is about 44 feet long and has not only room for you and your family to sleep in while traveling the country, but the rear has enough room to haul a vehicle or any motorsports equipment. Spring break is right around the corner and this custom classic with matching trailer is just begging to be taken on a road trip. 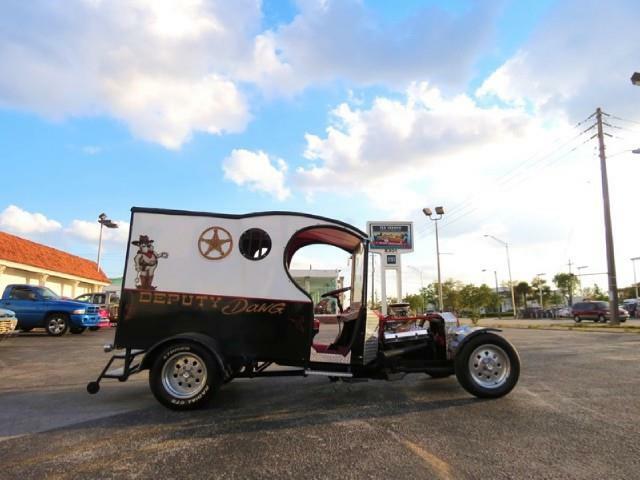 The last vehicle this week is this 1919 Ford Deputy Dawg for sale in Miami, FL. Deputy Dawg was a short weekly cartoon that originally aired between 1962 and 1963. A likeness of Deputy Dawg is featured on the side with the car’s name of Paddy Wagon on the front grill. The back end has been converted into a mobile jail cell complete with bench seating and bars to keep crooks inside. This custom Ford was previously a museum quality show car but would certainly turn heads if you decided to drive it around. Halloween is only 240 days away and it’s never too early to start planning for your costume party. Why not include this vehicle and show up as the super hero Deputy Dawg? You’re welcome for the idea and be sure to send us a picture of all the prizes you win for best costume. These Weird Stuff Wednesday vehicles can be found on Carsforsale.com. If you find a strange or interesting vehicle you think should be included in Weird Stuff Wednesday, send it our way. It may find its way into an upcoming issue.